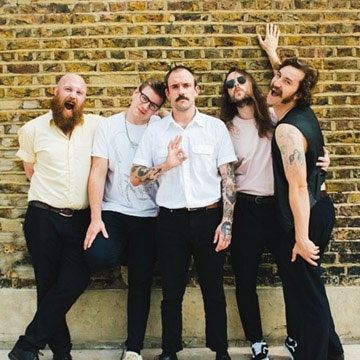 English punk rock band Idles formed in Bristol in 2012. They released their debut album Brutalism in 2017 to critical acclaim. Idles new record 'Joy As An Act Of Resistance' debuted at no.5 in the UK charts, breaking Rough Trade’s all-time record for most pre-orders and sales in day. It is currently the no.1 best reviewed record of 2018 (average rating of 88 across 25 reviews) at Album Of The Year and in the Top 10 on Metacritic. The band saw not only singles but the album itself A-listed at 6 Music and earned major features, amongst others, with the likes of Q, Mojo, The Guardian and covers with DIY, Loud & Quiet, So Young and NME.